Includes FREE Lifetime Map and Traffic Updates! - With free Lifetime Map and Traffic updates, you always have the most up-to-date maps, points of interest and navigation information available at your fingertips. Traffic information is updated constantly, and map updates are available for download up to 4 times a year. Both features are ready to go, right out of the box, with no subscription or update fees and no expiration dates. 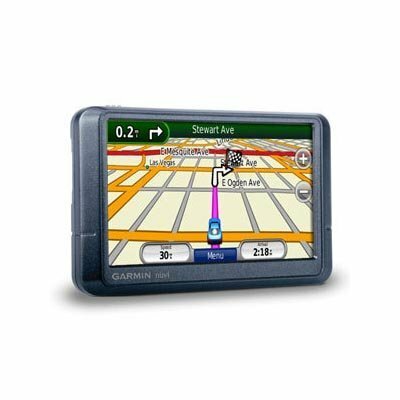 Navigate City Transit - With its enhanced pedestrian navigation capabilities, n vi GPS is the perfect travel companion for getting around town. Download optional cityXplorer content to help you navigate city public transit. Know where to walk, where to catch the bus, subway, tram or other transportation and how long it will take to get there. See More - View map detail, driving directions, photos and more in bright, brilliant color. Its sunlight-readable, 4.3 (10.92 cm) display is easy to read - from any direction.